We highly encourage you to apply to the TKS Las Vegas 2019-2020 Innovation Program powered by Zappos. The Knowledge Society (TKS) is selecting ambitious students ages 13-17 to expose them to cutting-edge topics like Artificial Intelligence, Virtual Reality, Genetic Engineering, and Cryptocurrency, while connecting with world-class mentors from companies like Google, Tesla, McKinsey, Apple, and Instagram. The goal is to build the next Elon Musks to solve the world's most important problems! The program led by successful entrepreneurs from Silicon Valley, who have built and sold companies, and have advised CEOs from the world's top 500 companies. By the end of the program, you will have dramatically accelerated your professional and personal development by developing the skills, knowledge, and network to make a massive change in the world. You DO NOT need to have a technology background in order to apply! We have mentors that will help you to learn and need your creativity & innovation to solve the world's problems! All sessions for students will be held at Zappos HQ and students will meet in person at least once a week. Zappos has committed the space for TKS and is also financially committing, which means that any and every students is eligible for this program. Click here is apply. 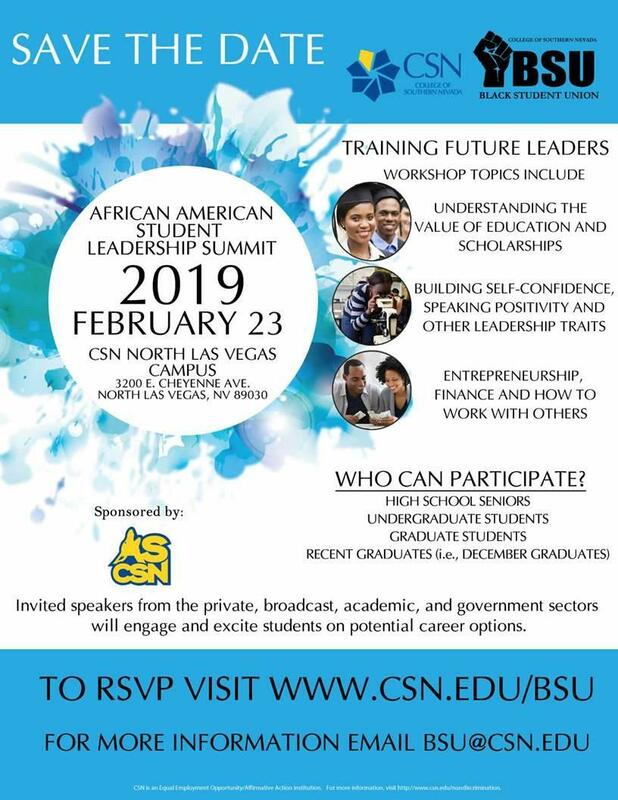 The 2019 Bank of America Student Leaders Program is available to all the High Schools in CCSD. The week-long, all-expense paid Student Leadership Summit in Washington, D.C. from July 8 – 13, 2019. Conducted in partnership with the Close Up Foundation, the Summit introduces students to aspects of civic, social and business leadership and provides them with knowledge and skills they will use throughout their life to create positive community change. Please note the application deadline of February 1, 2019. If you have any questions, you can send an e-mail to intern.nevada@letamericavote.org , call us at (571) 336-2643, or visit our website at letamericavote.org. The Student Interactions with STEM (SISTEM) program is a series of talks and activities open to all high school students in Southern Nevada. The Spring 2019 SISTEM series will be held at the Science and Engineering Building on the University of Nevada, Las Vegas campus, and it is a program for high school students to learn about potential careers with a STEM degree. We feel this event will be incredibly beneficial for our local students, as we have invited professionals in the STEM fields to give students a series of talks and they will prepare hands-on activities so that students can learn more about various STEM careers and research. Hopefully, SISTEM will encourage more students to enroll in STEM undergraduate programs here in southern Nevada. This is a very exciting opportunity to influence and motivate the next generation of engineers, mathematicians, and scientists!